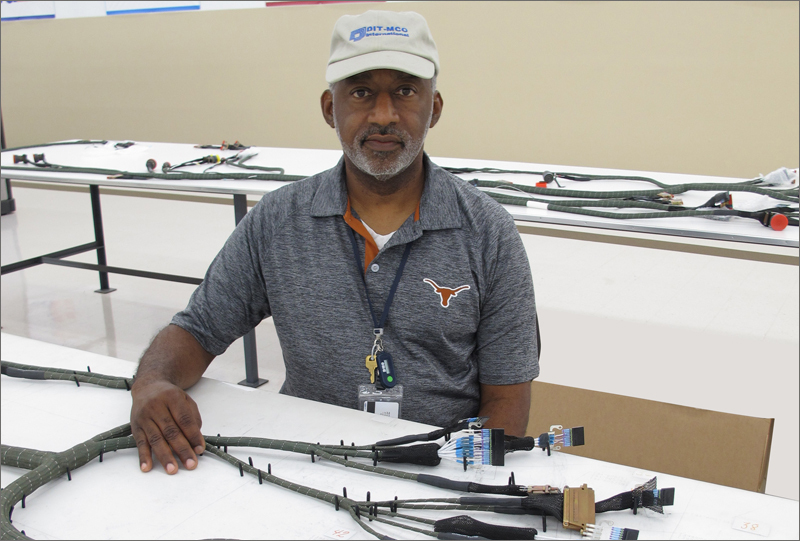 CIA&D’s Dale Roney has received certification to train in-house personnel in the latest procedures for aerospace wire harness manufacturing and fabrication. 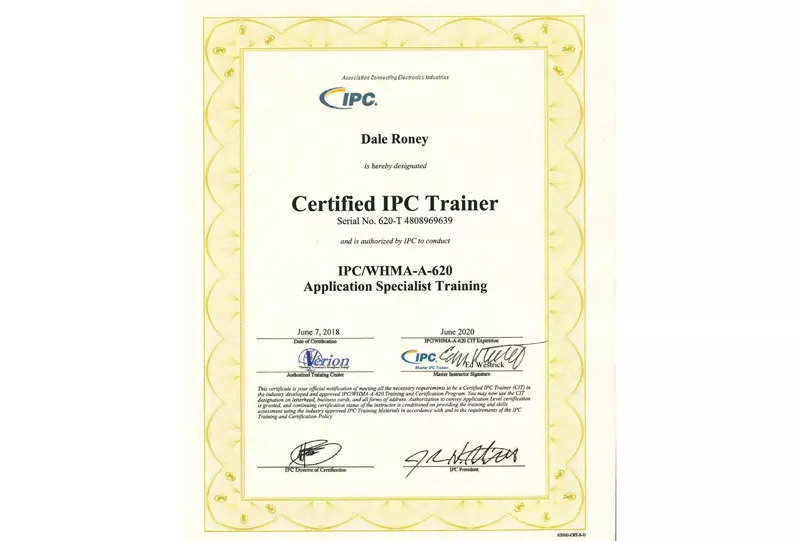 Dale Roney, Quality Engineer for CIA&D, has successfully completed his certification as IPC Trainer for IPC/WHMA-A-620. 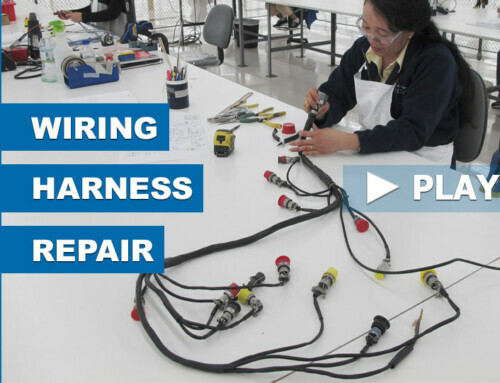 This further enhances the commitment of Co-Operative Industries to manufacturing and inspecting wire harnesses to the industry recognized IPC standard requirements and acceptance practices. 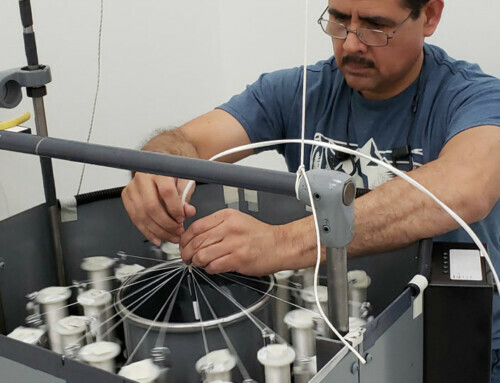 IPC/WHMA-A-620 manufacturing standards address procedures that range from wire harness manufacturing and assembly processes through end-item electrical testing – which includes continuity, dielectric withstanding voltage (DWV), and insulation resistance (IR) tests. 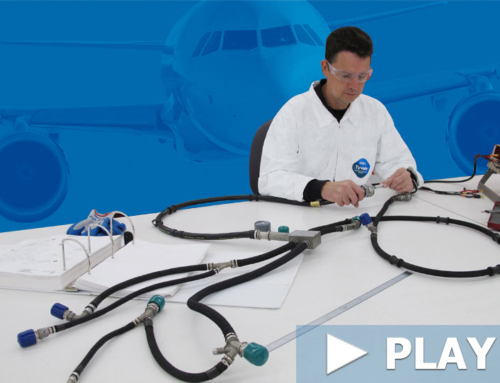 The IPC/WHMA-A-620 Certified IPC Trainer (CIT) Training and Certification Program is a (4) day course that consists of (8) modules and is the industry consensus standard for cable and wire harness fabrication and installation. Classes of products are defined and include criteria for Target, Acceptable, Process Indicator and Defect conditions to support the collection of visual quality acceptability requirements for each class. The IPC/WHMA-A-620 CIT candidates receive (4) days of intensive training, also the candidate must pass the instructors exams with an 80% or better. 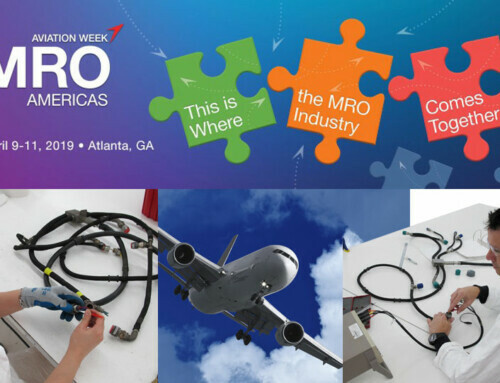 Dale will be active in the new and on-going training of CIA&D personnel responsible for the quality and reliability of cable and wire harness assemblies. 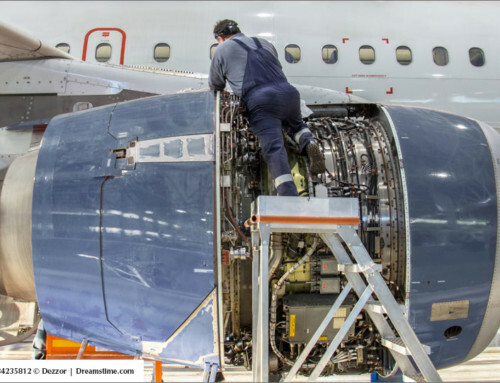 This includes trainers, engineers, quality supervisors, inspectors and manufacturing personnel responsible for quality assurance.